With more than 450 higher education institutions in California, choosing the best school for your needs can be overwhelming; not only do you need to decide on whether to attend a two-year or four-year college, you also have to mine through an extensive amount of government data to find the schools offering the best experience. 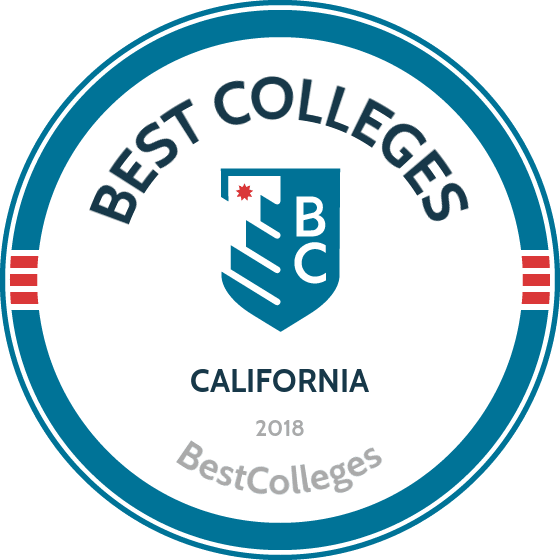 Fortunately, we have applied our rigorous methodology to the latest education data to rank the best colleges in California, including the top four-year and two-year schools. California's four-year institutions include some of the world's most prestigious public and private schools, with highly-competitive admissions processes reflecting said reputations. Freshmen impaction, or setting caps on the number of students a school can admit, is a real concern for public universities in California, including campuses within the California State University (CSU) system. State schools make clear that restricted openings for certain majors can ultimately influence admission timeframes and limit availability to students living in certain regions. The LA Times explains that public colleges and universities are involved in efforts to expand student capacities through the creation of new facilities; however, these developments will likely lead to continued tuition increases. But even with tuition hikes, a 4-year education is valuable. On average, a bachelor's degree increases an individual's earning power 108% over those with a high school diploma or GED. In addition, the state is suffering from an inability to produce enough graduates to keep pace with employer demands, driving companies to pay extra for qualified personnel imported from other states. Given the great need for in-state 4-year degree holders, now is the perfect time to enter a bachelor's program as a California resident. We've compiled the following list of top colleges to help you get started. Founded in 1891, Stanford is one of America’s most prestigious universities. A leading teaching and research institution, Stanford counts 20 Nobel Prize laureates and four Pulitzer Prize winners among its active faculty and community members. The school’s 4:1 student-to-faculty ratio is one of the best among California colleges, and Stanford boasts a long list of distinguished alumni. Notable past students include President Herbert Hoover, Supreme Court justice Sandra Day O’Connor, novelist John Steinbeck, and Google founders Sergey Brin and Larry Page, among many others. Stanford’s academic programs are offered in seven schools: Business, Earth Sciences, Education, Engineering, Humanities and Sciences, Law, and Medicine. Majors with the highest enrollment rates include computer science, engineering, and biology. The school’s research enterprise encompasses more than 5,500 externally funded projects, with a total budget in excess of $1.2 billion. Admission is competitive, but Stanford’s excellent reputation presents a favorable value proposition. Pomona College a private liberal arts college located in the historic Los Angeles-area suburb of Claremont. With a history dating back to 1887, Pomona College is known for its welcoming and inclusive community atmosphere. The school is one of seven members of the Claremont Colleges, and virtually the entire student body lives on its scenic 140-acre campus, which includes a total of 16 residence halls. Pomona College has earned widespread praise for its progressive financial aid program, and is considered a national leader in this regard. All students who receive offers of admission are guaranteed whatever financial aid they may need, and the school is one of very few undergraduate colleges in the United States that maintains a need-blind admissions policy. The school’s academic programs include a total of 48 majors in fields across the arts, humanities, natural sciences, and social sciences. Despite the school’s small and close-knit feel, it offers resources and opportunities that compare favorably to the best colleges in California. The University of California, Los Angeles is a high-profile institution located in western Los Angeles. With over 3,800 courses in 109 different academic departments, UCLA students enjoy some of the most diverse study opportunities in California. The school is well-known for its athletic prowess. As of 2017, UCLA varsity teams have captured 113 NCAA championships, and its alumni have earned a total of 261 Olympic medals. UCLA also has a renowned academic pedigree that includes 13 Nobel Prize laureates and 12 Macarthur Fellows. The school is also one of the best colleges in California for pre-med students, with the Ronald Reagan UCLA Medical Center consistently being named one of the top five hospitals in the continental United States. Despite UCLA’s large size, classes tend to be small, offering students the opportunity to forge meaningful connections with its renowned faculty members. About 70% of all undergraduate classes are comprised of fewer than 30 students, and the school’s extensive alumni network includes connections with leaders in practically every academic and business field. Steeped in history and tradition, the University of California, Berkeley isn’t just one of the best colleges in California; it’s one of the best in the world. In terms of its global impact, Berkeley has outranked such prestigious institutions as Princeton, Columbia, Oxford, and Cambridge in comprehensive, professionally conducted reviews. It is also consistently cited as the top public university in the United States. Berkeley offers a total of 170 academic departments and programs, and has a favorable student-to-faculty ratio. The school has been the site of many major scientific and social advancements, and it is the birthplace of numerous academic disciplines including nutritional science, statistical theory, molecular evolution, and nuclear medicine. Berkeley’s current faculty have combined to win seven Nobel Prizes, and the school’s undergraduate alumni have gone on to found or co-found successful commercial ventures including Apple, Intel, The Gap, Sun Microsystems, HTC, and MySpace, among others. Commonly known as CalTech, the California Institute of Technology is one of the world’s leading scientific research and teaching universities. The school’s small size is widely considered one of its best assets, as it has approximately 300 full-time professors to serve an undergraduate body of about 1,000 students. Its alumni and faculty have won a total of 35 Nobel Prizes, and CalTech is home to NASA’s Jet Propulsion Lab in addition to several other high-profile research and development projects and institutes. CalTech’s academic programs are heavily oriented toward theoretical and applied sciences, and 99% of its undergraduate students placed in the top 10% of their high school graduating classes. The school is among the leading colleges in California for faculty membership in elite academic and professional organizations. The CalTech community includes 58 National Medal of Science recipients and 13 National Medal of Technology and Innovation award winners. Claremont McKenna College is a leading member of the Claremont Colleges, a seven-school Southern California educational network inspired by the structure of Oxford University. It is considered one of the best colleges in California for students interested in economics and government. With dozens of academic programs spanning 12 departments, Claremont McKenna students are exposed to a well-rounded range of topics and disciplines. Students have the option to complete a “sequence” of courses in highly specialized fields, including Asian American studies, gender and sexuality studies, and leadership, among others. The school’s admissions department takes a favorable view of applicants with demonstrated leadership abilities, and emphasizes the importance of practical education. Over 90% of Claremont McKenna’s undergraduate students complete internships over the course of their academic programs, with almost half of all students pursuing off-campus study opportunities. Claremont McKenna is also home to 11 dedicated research institutes and centers. These assets provide students with enhanced opportunities to develop advanced leadership, innovation, and entrepreneurship skills. Located in Orange County, Soka University of America is a private, not-for-profit liberal arts college. SUA offers Bachelor of Arts degrees in a range of humanities-related concentrations. The school has a strong international focus, with a study-abroad program included in its undergraduate tuition. This ensures that every SUA student has the opportunity to participate in an academic and cultural exchange in another country. About 40% of SUA’s student body is made up of international students hailing from more than 40 countries around the world. SUA is also unique among colleges in California for its close alignment with Buddhism. Though its academic programs are strictly non-religious and non-sectarian, peaceful Buddhist principles guide every aspect of the school’s inclusive philosophy. Full scholarships covering all tuition costs are also available to students from families in lower income brackets, and the campus bistro provides affordable, healthy, and high-quality all-you-can-eat meals. Harvey Mudd College opened in 1957 at the height of the Cold War-era Space Race, and was established with the goal of drawing the nation’s top budding scientific and technological minds. Today, the school prioritizes an integrated approach that combines its core focus on science, technology, engineering, and mathematics (STEM) fields with a rigorous liberal arts program. Its academic catalogue includes majors in the fields of biology, chemistry, computer science, engineering, mathematics, and physics, with many integrated options. Located in the beautiful Los Angeles-area suburb of Claremont, Harvey Mudd College is one of seven Claremont Colleges. Harvey Mudd College enjoys a reputation as one of the best colleges in California for STEM students, and is a widely recognized innovation leader. Harvey Mudd College also maintains a welcoming, close-knit environment made up of a small body of about 800 students. The median starting salary of a Class of 2016 graduate was $105,555. Home of the Trojans, USC is one of the top private research colleges in California. Established in 1880, USC has two official campus locations: the University Park campus in central Los Angeles, and the Health Sciences campus northeast of downtown. Current full-time and adjunct faculty members have earned prestigious honors including the Macarthur Fellowship, Pulitzer Prize, National Medal of the Arts, and the Guggenheim Award, among others. Its top-ranked film school has produced many Academy Award winners in both creative and technical fields, and the Thornton School of Music is also one of the best-regarded academies of its kind in the United States. USC’s academic programs are offered through 23 distinct colleges and units, and the Trojans are a prominent force in the NCAA. The school’s talented student body boasts an average unweighted GPA of 3.75 among entering freshmen, and USC supports lifelong personal and professional connections through its broad, inclusive, and accessible alumni network. Unofficially known as Cal Poly, California Polytechnic State University, San Luis Obispo is located along the state’s beautiful central coast. This nationally ranked public university is particularly renowned for its business, economics, and engineering programs. Cal Poly is one of the best colleges in California for these undergraduate majors, and it is one of the top public universities in America for alumni earnings. “Learn by Doing” is Cal Poly’s official guiding philosophy, and students enjoy enhanced hands-on and practical opportunities through a wealth of internships and off-campus learning programs. Its comprehensive range of academic programs are augmented by extensive land holdings, all of which are actively used for student education. Cal Poly holds the second-most land of any academic institution in California, with a total of 9,678 acres spread across five properties including the main campus. Cal Poly also has one of America’s leading collegiate baseball programs. Its alumni include 15 players who made the Major Leagues, including Hall of Fame shortstop Ozzie Smith. As an integral member of the Claremont Colleges, Pitzer is widely regarded as one of the best colleges in California for interdisciplinary studies. Beyond emphasizing the value of associative learning, Pitzer College also embraces core values that include social responsibility, environmental sustainability, and cultural exchange. Beyond the school’s 40-plus established academic programs, students enjoy the unique opportunity to design their own majors. During the six-year period spanning 2010 to 2015, Pitzer College had the most Fulbright Scholars of any American undergraduate institution. Some of the school’s most popular Bachelor of Arts degree concentrations include art, environmental studies, media studies, political studies, psychology, and sociology. Like other members of the Claremont Colleges, Pitzer maintains a strong focus on its student community. Over 90% of its students live on campus, with 68% of those students enjoying accommodations in LEED-certified residences. Pitzer is also the first university in Southern California to cease sourcing its energy from fossil fuels, and over one-quarter of its electricity is drawn from clean, renewable sources. UC San Diego is ranked as one of the world's top 15 research universities. It is unique in the University of California system as the only school that uses the “small college” concept seen in esteemed institutions like Oxford and Cambridge. Undergraduate programs are offered through six colleges, each of which maintains their own residence halls and student services. The school's main campus is situated on a 1,200-acre expanse of woodland overlooking the Pacific Ocean, and is home to world-class research establishments including Scripps Institution of Oceanography. Over the past half-century, a total of 16 Nobel Prize laureates have been members of UC San Diego's faculty. In total, the school's current faculty and emeriti have collected a total of 201 memberships in prestigious academic organizations and academies. UC San Diego's annual research funding regularly tops the $1 billion mark, making it one of the best colleges in California for students in research-oriented majors. Home to over 31,000 students, the University of California, Irvine is one of California’s top-rated public universities. With a strong athletic tradition that includes 28 NCAA national titles in nine different sports, UC Irvine is also considered one of the top colleges in California for students from lower-income backgrounds. Its academic programs include a total of 92 majors and 86 minors, and the school is particularly renowned for its leadership in the field of chemistry. UC Irvine is a top-ten school for the highest number of chemistry degrees awarded to students at all three study levels. Neuroscience, law, earth sciences, physics, mathematics, and astronomy are also among UC Irvine’s highly regarded programs. UC Irvine is a noted driver of innovation, with prominent current research projects in fields including climate change, water sustainability, and renewable energy. The school is a nationally recognized leader in sustainable innovation, with campus facilities making extensive use of LEED technologies. California State University, Long Beach is the third-largest school in the CSU system. The school’s 322-acre main campus is located on a hilltop with a majestic view of the Pacific Ocean, and features thousands of flowering peach trees that were gifted to the school by local residents. The university is a designated “Military Friendly School,” and is a popular study destination for servicemen and women transitioning back to civilian life. In addition, the university is among the nation’s leaders in the number of degrees conferred to minorities and students of color. Students can pursue majors administered by a total of 63 different departments. The school also enjoys a reputation as one of the best colleges in California for film students. California State University, Long Beach counts multiple Academy Award-winning screenwriters, directors, and producers among its alumni, including Steven Spielberg. Chris Carter, creator of the hit TV series The X-Files, is another high-profile graduate. Located in Northern California, the University of California, Davis is one of the leading public colleges in California and often holds a top-ten national ranking among public institutions of higher learning. A globally recognized leader in agriculture, ecology, environmental sciences, and veterinary medicine, UC Davis also has a strong international focus. The school is a highly regarded global university, and is currently ninth among all American colleges for the number of international scholars in its school community. Undergraduates can pursue one or more of 104 majors, and incoming students have the option to pursue exploratory studies as an undeclared major. Notable UC Davis alumni include John S. Watson, the current CEO of Chevron Corporation, as well as Anna Escobedo Cabral, the 42nd Treasurer of the United States. UC Davis has also produced two NASA astronauts and several athletes that have gone on to careers in Major League Baseball and the National Football League. The University of California, Santa Barbara is a research-intensive institution with membership in the exclusive Association of American Universities. The school is a global leader in the sciences, and is home to 12 major research centers and institutes. These include the U.S. Army-funded Institute for Collaborative Biotechnologies and the world-renowned Kavi Institute for Theoretical Physics. UC Santa Barbara also enjoys a strong reputation as one of the top colleges in California in the humanities and fine arts. Undergraduate majors are offered through four schools, including the College of Creative Studies, the College of Engineering, the College of Letters and Science, and the Bren School of Environmental Science and Management. The quality of the school’s faculty is a particular point of pride. UC Santa Barbara is currently home to six Nobel Prize laureates, and over 60 faculty members have won Guggenheim Fellowships. Current research drives innovation in the field of energy efficiency, and the school is top among American public universities in green campus initiatives. Its history dating back to 1897, San Diego State University is the oldest higher learning institution in San Diego. Home of the Aztecs, SDSU maintains athletic programs in 19 individual and team sports, including an NCAA Division I football team and a baseball team that was formerly coached by the late Hall of Fame outfielder Tony Gwynn. Other prominent alumni include Academy Award-winning movie producer Kathleen Kennedy and National Football League Hall of Fame running back Marshall Faulk. A nationally recognized leader in campus diversity and LGBT inclusion, SDSU’s profile continues to gain momentum. It is one of the top colleges in California for students seeking global learning experiences, with almost 400 international exchange programs spanning 67 countries around the world. Undergraduate students can choose from 91 different majors, including many programs that directly benefit from the school’s excellent fundraising profile. SDSU is one of America’s top-ranked small research universities, and contributes an estimated $2.4 billion to San Diego’s local economy each year. Scripps College is one of the top colleges in California for women. It was established in 1926, at a time when there were very few educational institutions in the United States dedicated to developing the skills and minds of female students. The school’s founder, Ellen Browning Scripps, was a highly successful newspaper entrepreneur and philanthropist who was one of the pioneering voices of the American women’s suffrage movement. Today, Scripps College maintains a strong focus on interdisciplinary academics and features over 2,000 courses in its calendar. The school is one of seven members of the Claremont Colleges, with over 5,000 students enjoying a supportive community atmosphere in the beautiful Los Angeles-area suburb of Claremont. All students participate in the school’s Core Curriculum, which consists of a foundational set of interdisciplinary courses in the humanities. Students then advance into one of 50 available majors before proceeding into a Senior Thesis project. Based in Los Alamitos, Touro University Worldwide enrolls more than 19,000 students internationally. Through its four schools, TUW offers a variety of undergraduate and graduate degrees, including bachelor’s programs in business administration and social work and master’s programs in dispute resolution and health sciences. Students can pursue a doctor of psychology in human and organizational psychology. TUW's general studies track is designed for students who plan to transfer into another institution after graduation. Among schools in California, TUW is a leader in distance education. All of the university’s programs are available in either a fully online, asynchronous format or in a hybrid format. All students pay the same affordable tuition rates, regardless of residency. TUW supports active military personnel, veterans, and their families with designated funding and generous transfer policies. As one of the most affordable undergraduate colleges in California, California State University, Fullerton combines academic excellence with a focus on accessibility. The school is one of the state’s most diverse campuses, with 78.5% of the total student body consisting of people of color. Cal State Fullerton also attracts international students from 90 different countries: 8.1% of its total student body coming from outside the United States. Undergraduate students can choose from 57 different degree programs, and Cal State Fullerton is well-known for excellence in the performing arts. In 2006, the school unveiled its new Joseph A.W. Clayes III Performing Arts Center, and a state-of-the art Student Recreation Center followed in 2008. These initiatives helped spur the rapid growth of the Cal State Fullerton community, and the school is now considered one of the most dynamic campuses in the CSU system. Conveniently located just east of the city of Los Angeles and surrounded by some of the area's most attractive landscapes, California State Polytechnic University, Pomona is one of the best colleges in California. Cal Poly Pomona was founded in 1938 and built on land deeded by W.K. Kellogg (of Kellogg's cereal). Today the school enrolls around 24,000 students a year and employs nearly 2,600 faculty and staff members. Kellog's winter home was known for its prize-winning Arabian horses. Today the property is a bustling research and education center but Cal Poly Pomona's connection to the Kellogg family remains strong through its relationship with the W.K. Kellogg Foundation. Much like Kellogg's prized horses in days past, the school's W.K. Kellogg Arabian Horse Center is a popular community attraction. The school offers students over 100 degree programs among the school's eight colleges and regularly hosts music and theater performances, as well as art exhibitions at its two galleries. Santa Clara University is unique among major colleges in California as a Christian school in the Jesuit tradition. Located in the Silicon Valley tech hub, SCU emphasizes the importance of social entrepreneurship and has a very high student retention rate. With a history dating back to 1851, SCU is also the oldest continuously operating academy of higher learning in the state. The school’s academic programs are delivered by award-winning instructors and faculty members who have earned prestigious distinctions in a range of fields including creative writing, economics, fine arts, and physical and life sciences. SCU has an impressive list of accomplished alumni, who have distinguished themselves in fields including business, entertainment, sports, science, and the arts. Well-known alumni include two-time National Basketball Association MVP Steve Nash, Rock and Roll Hall of Fame member Jorma Kaukonen of Jefferson Airplane, and Rick Davis, former captain of the U.S. national men’s soccer team. Founded in 1971, Thomas Aquinas College is one of the only Catholic colleges in California. Integrating the spirit of intellectual inquiry with a proud Roman Catholic tradition, Thomas Aquinas College offers a unique bachelor of arts degree program. The program takes an innovative approach to learning. Students do not attend lectures or use textbooks. Instead, they are guided by tutors through a careful, comprehensive study of “great books,” which include a selection of original works by influential thinkers, scholars, and artists in the Western tradition. Students develop advanced critical thinking and analysis skills, and foster their spiritual development through a daily schedule of masses throughout the academic year. Thomas Aquinas College provides an excellent educational base for individuals wishing to pursue advanced religious studies or Catholic priesthood. Almost 40% of alumni go on to graduate studies, while 11% become priests or pursue other positions within the Catholic Church. One of the top Christian colleges in California, Pepperdine is also widely considered one of the most beautiful places in the country to study. Located in Malibu just off the Pacific Coast Highway, Pepperdine operates on guiding principles that integrate the Christian faith tradition with intrepid academic inquiry. Its undergraduate programs are offered through three main schools: the Graziadio School of Business and Management, the School of Public Policy, and the liberal arts-focused Seaver College. Pepperdine maintains a proud athletic tradition and boasts 17 teams competing in NCAA Division I sports. Alumni have earned seven Olympic gold medals, and Pepperdine athletes have combined to win 25 national individual and team titles. Pepperdine also has a strong focus on practical skills development, with 84% of students earning direct experience through student jobs, student teaching positions, and internships. Its average student-to-teacher ratio across all five undergraduate and graduate schools is 12.5:1, which provides students with enhanced opportunities to benefit from the knowledge and expertise of Pepperdine’s world-class faculty. Located in the trendy Eagle Rock neighborhood of Los Angeles, Occidental College has a long and rich history as the city’s oldest liberal arts institute. A small school with a strong sense of community, Occidental College is home to an undergraduate student population of only about 2,100. In turn, students enjoy a highly favorable student-to-teacher ratio in the 10:1 range. Face-to-face student-teacher interactions are a central part of the Occidental College experience, and the school offers 32 different majors across 40 distinct programs and departments. Students also enjoy the option of designing their own individually tailored program, a rarity among undergraduate colleges in California. Oxy, as the school is commonly known, is particularly renowned for its law, medicine, and urban planning programs. The school also offers excellent opportunities to aspiring movie and TV production designers, benefitting from a highly regarded program and an ideal location in the heart of the American entertainment industry. According to figures collected by the Foundation for California Community Colleges, two-year colleges in California provide academic services and career preparation to a population of over two million students. These institutions of higher learning alleviate the strain on 4-year colleges and universities by preparing undergraduates for bachelor's programs and helping them segue into 4-year degrees. In addition to guaranteed transfer partnerships with many UC and CSU campuses, California community colleges have paved the way for entry into Historically Black Colleges and Universities, creating clearer academic inroads for diverse student populations. Even for students who choose to enter the workforce directly after obtaining their associate degree, studies show income will be an average of 47% higher than the income of students with a GED or high school diploma. Given that Californians between the ages of 25 and 35 are on average below the national average for education standards, the state is motivated to fill the gaps being created by the retirement of the state's most educated base, 45-64 year olds. When, in a recent study, officials discovered a low level of completion in California's community colleges, policies were adopted to provide improved follow-through for degree seekers. Now is the perfect time to take advantage of these opportunities by using our ranked list to start your search. Founded in 1967, Moorpark is one of three California community colleges located in the Ventura district. The school’s 150-acre campus on the outskirts of Moorpark city is known for its picturesque scenery, and it’s home to a student body of about 15,000. Around 65% of students attend day classes, while the remainder attend at night. The school offers 70 transfer degree, occupational, and continuing-ed programs, with particularly strong nursing and biotechnology programs. Notably, the school’s exotic animal training and management program is the only one of its kind in the nation. America’s Teaching Zoo, a working menagerie of more than 200 animals, is one of the hallmarks of the campus. Other facilities include the Charles Temple Observatory, a state-of-the-art performing arts center, and an athletics facilities. Moorpark ranks in the top 10 for transferring students to the University of California and California State University systems. Set amid the hills and vineyards south of the Bay Area, LPC is located in the city of Livermore. LPC provides 9,300 students with 17 transfer degree programs, 24 occupational associate degrees, and 44 certificate programs. More than 65% of students intend to transfer to a four-year college; 11% are pursuing career-training programs. The most popular majors at LPC include liberal arts and sciences, business, fire science technology, and early childhood education. Like other community colleges in California, Las Positas has an open-admission policy. LPC has guaranteed transfer agreements with 30 colleges, including all of the colleges in the University of California system (except Berkeley and UCLA). The school has a full slate of online programs, with associate degrees in areas ranging from administration justice to welding technology. Based in the city of Orange, SCC serves a student body of 16,000 with transfer degree, career certification, and personal enrichment courses. Latinos make up more than 44% of those enrolled. The college’s comprehensive adult-ed program is one of the largest in California. It is offered at 26 locations, including Orange, Anaheim, Villa Park, and Garden Grove. SCC’s water utility sciences program is among the best in the state. Other notable programs include biotechnology, survey/mapping sciences, and the STEM disciplines. The college also sponsors the biggest trade apprenticeship program in California, providing students the opportunity to get hands-on education in fields like carpentry, cosmology, home and commercial electricity, and maintenance. SCC fields many athletic teams in the Orange Empire Conference, participates in intercollegiate debate competitions, and has an extensive honors program. Diablo Valley is one of three California community colleges serving the Contra Costa District, and it has two primary campuses in Pleasant Hill and San Ramon. Between them, DVC provides over 40 degree programs and vocational training to more than 22,000 students. The school’s first classes were taught in a variety of settings across the valley, from churches to old army camps. Since then, it’s educated more than 1.5 million students. DVC offers most traditional community college programs -- from art to sociology -- and several less common disciplines like Arabic and Persian, music industry studies, oceanography, addiction studies, and colloquia. The journalism department has won awards for its paper, The Inquirer. The school has articulation agreements with the University of California and California State University systems, and it transfers grads at a rate 67% higher than the national average. DVC’s 60% completion rate beats the California average. Located in the city of the same name, Irvine Valley College is a public, two-year school offering more than 70 associate degrees and over 100 professional and career-oriented programs. The majority of the school’s 15,000 students attend part time, and most take at least one night class. The Weekend Pathways program makes earning a degree on weekends possible. IVC grads go on to earn four-year degrees at California public schools and prestigious private schools such as Brown, Cornell, Columbia, Johns Hopkins, and Stanford. Like the other public community colleges in California, IVC is part of the “A Degree with a Guarantee” program, a fail-safe transfer plan to a University of California school. IVC’s honors program is part of the Honors Transfer Council of California and the UCLA Transfer Alliance Program, allowing seamless transfer for high achieving students. IVC awards more than $17 million in financial aid on an annual basis. Students can find help at the school’s language acquisition center, writing center, testing center, and math center. The IVC Performing Arts Center brings national speakers, performers, and artists to campus. Situated on a 153-acre campus in the San Mateo Hills of Silicon Valley, the College of San Mateo offers a comprehensive suite of associate degrees. Focus areas include accounting, building inspection technology, dental assisting, economics, engineering, and physics. Unique programs include the associate in arts in kinesiology, a transfer program that trains learners in the art and science of human development. Program graduates can transfer to four-year programs in preparation for careers as coaches, fitness instructors, or physical therapists. Students may also earn 39 credits of general education certification to transfer to California State University. Learners have the opportunity to participate in the students government, more than 30 student-run clubs, and many cultural events. Learners benefit from support services such as tutoring, transfer assistance, child care, and health services. Skyline College’s offerings include 55 associate degrees and dozens of certificate programs. Nineteen transfer degrees maintain Skyline's prominence as a top destination for matriculating students. The school offers programs in education, journalism, psychology, automotive technology, communication studies, and surgical technology. Skyline offers associate degrees in fields like kinesiology, network engineering, and energy systems technology management. The associate in arts in interdisciplinary studies allows students to choose degree plans in arts and humanities, social and behavioral science, or social and natural science. The school has transfer agreements with a number of four-year colleges, including the University of California - Berkeley, UCLA, and San Francisco State University. Skyline, one of the top community colleges in California, exposes students to learning communities specific to a learner’s area of interest, including allied health, automotive technology, legal careers, or the Social Justice League. Mt. SAC awards more degrees than just about any community college in California. Located in the LA suburb of Walnut, it’s among the largest degree-granting two-year colleges in the nation. It’s also a Top-Ten California Transfer College. Mt. SAC’s 37,000 students can select from 90 degree programs and 150 career-training options. About two-thirds of those enrolled attend on a part-time basis. The most popular programs are health, commercial services, public/protective services, social sciences, and education. The aviation and aircraft maintenance programs are also nationally recognized. The college’s athletics programs are known nationwide, and the campus hosts the international Mt. SAC Relays, attracting some of the world’s biggest track and field stars. College of the Canyons offers over 150 degree and certificate programs, and students who graduate from one of the 18 degree-transfer programs are guaranteed admission to a Cal State at the junior level. Transfer studies is among the most popular majors at COC. Others include biology and physical sciences, accounting, registered nursing, social sciences, mathematics, and fire technology. The school operates out of campuses in Valencia and the Canyon Country campus in Santa Clarita. The new Institute for Culinary Education has state-of-the-art cooking facilities, and COC’s unique Diane G. Van Hook University Center offers more than 40 bachelor’s, master’s, and doctor’s programs through affiliated partner schools. Notably, the school’s 153-acre campus in Santa Clarita has served as the backdrop for at least a dozen film projects, including high-profile shows like Weeds and NCIS and movies like Dark Skies. Los Medanos’ two campuses are in Brentwood and Pittsburg, and between the two, the school serves about 9,000 students. Since its founding in 1974, LMC has grown significantly. The school has added over 50% more classroom space in the past decade. It also rebuilt, remodeled, and constructed new labs for its EMT, science, and nursing programs and opened a new student center in 2015. LMC offers dozens of transfer degree, workforce training, and enrichment programs. The most popular majors at LMC are nursing, engineering, math, liberal studies, fire tech, business, and physical and biological sciences. The college participates in a variety of transfer programs, including the MESA (math, engineering, science, achievement) program, which eases transfer to a baccalaureate STEM degree, and the Intersegmental General Education Transfer Curriculum. It also has an active honors program. Childcare is available at the main campus in Pittsburgh. Glendale Community College provides learners from all backgrounds with several educational and enrichment opportunities. Students can earn associate degrees in several disciplines, including business, social sciences, technology, and healthcare. The associate in arts degree requires students to take general education courses and additional credits in one of several majors, including math, business administration, health science, and foreign language. GCC is among the top community colleges in California and offers an associate in science that requires learners to take general education requirements and earn 18 credits, or a certification, in a business or technical field. The school's AA-transfer or AS-transfer immerses students in the general education and major coursework necessary to transfer into the California State University system. Founded in 1962, Imperial Valley College enrolls about 7,000 students on its main campus and two satellites in southern California. IVC offers associate degrees that prepare workers for career and technical education fields. IVC's offerings include apprenticeship programs that lead to associate of science degrees that prepare electricians, power linemen, generation mechanics, and relays technicians. IVC, one of the top two-year schools in California, offers traditional associate programs in fields like business management, administration of justice, fire technology, pharmacy technician, and sociology. Some of these degrees are eligible for transfer to a senior college. Programs such as criminal justice and elementary education are designed to be transferred. Students seeking an accelerated program in nursing can complete the registered nurse licensure requirements in three years. The school also offers a welding certificate that students can earn in 12 months. Citrus College is the oldest community college in Los Angeles County and one of the oldest two-year colleges in California. Based in Glendon, in the foothills of the San Gabriel Mountains, the school was founded in 1915 by the man who brought the junior college movement to the Golden State. Today, the school serves more than 15,000 annually. It offers associate degrees in 48 areas of study, 18 transfer degrees, and 41 career and technical certificates. Courses follow traditional, 16-week semesters, but can also be taken asynchronously online, in winter and summer sessions, in the evenings, and in hybrid format. Citrus has won recognition among California community colleges for preparing students in the STEM disciplines for transfer. The top five majors include social and behavioral sciences, liberal arts, biology, physical science, and math, business, and language arts. Citrus is undergoing a major facilities expansion on its 104-acre campus. It currently features the Haugh Performing Arts Center, a 10,000-seat soccer and football stadium, and an herbarium. The school is home to the famed Citrus Singers, an internationally known vocal program, which has sent many performers to Broadway and musical careers. Set on a 38-acre campus less than two miles from the beach, Santa Monica College is one of the largest community colleges in California, with more than 34,000 students enrolled in over 80 fields of study. Known for strong programs in nursing, healthcare, solar tech, business, graphic design, computer technology, and early childhood education, the school transfers more students to four-year schools than just about any other. SMC has a unique artist mentoring program that couples students with professionals in the fine and applied arts, and it’s home to the Academy of Entertainment Technology, which offers access to top-level animation and new media facilities. The John Drescher Planetarium, the SMC Performing Arts Center, and public radio’s famed station KCRW are all located on campus. The school boasts several famous alumni, including actors James Dean, Dustin Hoffman, Sean Penn, Arnold Schwarzenegger, and Hilary Swank. Musicians Rivers Cuomo, Ricki Lee Jones, and several members of the Doors attended the school as well. Established as Pasadena Junior College in 1924, Pasadena City College had 267 students when it opened its doors as one of the first junior colleges in the Southwest. Today, the San Gabriel Valley school is home to more than 30,000 students, and it tops the charts among California community colleges for student retention, number of associate degrees conferred, and degrees awarded to minorities. PCC also has one of the best transfer rates in the state. Students can select from among 117 associate degree programs, 70 occupational skills certificates, and 39 non-credit learning opportunities. PCC’s Division of Health Sciences is particularly strong, and it has been nationally recognized as an innovator in health education. PCC is also known for its hand-on studies in the Division of Engineering and Technology. The school’s Pathways program helps first-year students get acclimated to college-level learning, and the Veteran’s Services Centers provides vets with dedicated programming. More than 80% of students pay reduced tuition or no tuition at all. Set on a 110-acre campus in the city of Cypress, not far from Downtown Disney, Cypress College is a comprehensive, two-year institution and a member of the California Community College System. Founded in 1966, Cypress offers its 15,000 students a selection of 51 associate and 58 bachelor’s degree programs. More than 140 career-certificate programs are also available, some of them on accelerated tracks, allowing students to earn a certificate in as little as one semester. Classes can be taken during the day, evening, weekend, or online. Almost half of Cypress’ students are on an associate degree transfer track. Popular majors include business, liberal arts, nursing, psychology, and hotel, restaurant, and culinary arts. The most awarded certificates include auto technology; hotel, restaurant, and culinary arts; aviation and travel careers; and computer information systems. The school is home to one of the only mortuary science programs among all two-year colleges in California. The automotive department is particularly strong here -- it’s considered a “master” training facility by the National Automotive Technician Education Foundation and in 2016 entered into a new partnership with Tesla. Oxnard College offers 37 associate degrees and classes in more than 60 disciplines. Students can pursue the associate in arts or associate in science in fields such as chemistry, addictive disorder studies, paralegal studies, computer dental assisting, and applications and office technologies. The AA or AS in general studies allows students to choose majors in math, arts and humanities, natural sciences, and social and behavioral science. OC, one of the top community colleges in California, offers AA-T or AS-T degrees that transfer to four-year colleges in the state in fields like psychology, communication studies, and early childhood education. OC's Fire Academy prepares firefighters through a two-year AS program and a certificate program. The OC Marine Center serves students with classes in marine biology, oceanography, and environmental studies. Porterville College resides at the base of the Sierra Mountain Range in Tulare County. PC offers a comprehensive list of associate programs. Students pursuing an associate in science in business management have several concentrations to choose from, including accounting, entrepreneurship, logistics, and human resources. In addition to general education, the 60-credit degree requires a 20-credit business core and nine credits in each concentration. Students may pursue other AS degrees in fields such as nursing, computer information systems, and biology and physical science. The school's AA in liberal arts offers two degree plans: art and humanities and math and science. PC, one of the top community colleges in California, offers AS for transfer degrees in mathematics, business administration, administration of justice, and early childhood education. Support services include tutoring, a child development center, and transfer center. Foothill College sits on 122 acres in the Santa Clara town of Los Altos Hills, one of the wealthiest areas in the U.S. Set among the rolling hills of Silicon Valley, FC has won numerous awards for its distinctive architecture. The school offers more than 180 degree programs, workforce certificates, and non-credit courses. Over 50% of students are on transfer tracks, and they study in small classes -- the average size is 27 students. Foothills has one of the highest transfer rates of all California community colleges. Campus facilities include the IDEA Lab, a golf instruction complex, the Krause Center for Innovation, the Japanese cultural center, and the bamboo garden and Azumaya Meditation Pavilion. The Foothills College Physics Show is a popular presentation on campus, drawing steady audiences for its look at the laws of nature. Foothills was the first community college in California to offer online programming, and it now has more than 500 eCourses available. It also offers a wealth of resources for internships and a comprehensive apprenticeship program in the trades. Located in Costa Mesa, about 40 miles south of LA, Orange Coast was founded in 1947 and built on the site of an old Army base. These days, it’s known for its diversity, qualifying as both a Hispanic serving institution and an Asian American, Native American, and Pacific Islander serving institution. OCC offers transfer degrees in 84 program areas, 51 career and technical certificate programs, and 23 enrichment programs. More than 60% of students are pursuing degrees to transfer to a four-year college. OCC is the top transfer college in Orange County; in 2014-15, the college transferred more students to Cal State than any other California community college. Graduates of UCC’s honors program have priority admission to such top schools as UCLA, UC Irvine, Georgetown, Loyola, Amherst, and Connecticut College. Orange Coast is strong in maritime programming. It hosts the only nautical program at a public community college, and it has an acclaimed marine science department known for its 2,500-gallon seawater pool and dolphin survey project. Other popular majors include psychology and business. The Student Project and Research Symposium gives students an opportunity to present their independent studies to the college. Actors Patrick Wharburton and Diane Keaton and musicians Don Ho and Scott Weiland attended OCC. For every three adults in East San Diego County, one has taken classes at Grassmont or its sister college Cuyamaca. Grossmont is the bigger of the two schools in the Grossmont-Cuyamaca Community College District, and it provides access to more than 150 transfer degree programs, workforce-training programs, and personal enrichment programs. Like most California community colleges, Grossmont offers traditional curriculum in the liberal arts and sciences, business, healthcare, and the trades. Unique areas of study include cardiovascular technology, disability services management, cross cultural studies, Russian, and tribal gaming. The school has expanded in recent years; new buildings include the Griffin Center, a student and administrative services building, a learning and technology resource center, a science laboratory, a digital arts and sculpture building, an exercise and wellness complex, and a health sciences complex. Extracurricular activities include the student-run theater, a radio station, and 17 sports in the National Junior College Athletics Association. Notable alumni include music journalist Lester Bangs and comedian Doug Benson. Based in Cupertino, the Silicon Valley hometown of Apple computer, De Anza is one of the best community colleges in California for students transferring to the University of California and California State University systems. The two-year school offers 67 degrees and almost 100 certificate programs to a student body of 23,000. Programs range from accounting to speech communication, and include a popular film/TV major and less common junior college disciplines like kinesiology, museum studies, and social change. The average class size is 35. De Anza’s First Year Experience helps students make the transition to college life. A community hub, the campus brings visitors to the California History Center, the Cheeseman Environmental Studies Area, the De Anza Visual and Performing Arts Center, the Fujitsu Planetarium, and Euphrat Museum of Art. Students are active in more than 70 clubs and 19 sports teams, and De Anza students benefit from a monthly flea market. Actress Teri Hatcher, director Len Wiseman, and Apple co-founder Steve Wozniak attended De Anza. Golden West College provides students with innovative programs in Huntington Beach. The school offers an extensive suite of majors that lead to associate degrees in traditional areas such as accounting, business administration, software development, and global studies. The school also offers associate programs in Vietnamese, environmental studies, peace studies, and American sign language interpreting. The school offers associate degrees that are designed for transfer to schools within the California State University system. Subjects include administration of justice, political science, and elementary education. Individuals pursuing nursing credentials may opt for the basic nursing program in preparation for registered nurse licensure or a bridge program for licensed vocational nurses that leads to RN licensure. GWC, one of the top schools in California, offers certificate programs that prepare workers for academic and occupational careers within a compressed time frame. Fullerton offers associate degrees that are designed for transfer into California State University schools in fields such as English, math, journalism, business administration, and administration of justice. Students can earn traditional associate degrees in disciplines like the humanities, natural sciences, and business and computer information systems. Fullerton College, one of the top schools in California, administers a horticulture program in which students can earn associate degrees or certificates in landscape management, nursery management, or ornamental horticulture. Students can also earn associate degrees through the school's communications program, which offers specializations in radio or TV production. The fashion design program offers pathways leading to associate degrees in fashion journalism, fashion merchandising, and textiles and clothing. Vocational certificates give students the option to earn credentials in a shorter time frame. NVC welcomes new students seeking transfer and terminal associate degrees. Certificates of Achievement in various professional fields can be earned through the Career-Technical Education department. To qualify for enrollment, prospective undergraduates must submit an NVC application, attend an online orientation, take placement exams, meet with an academic advisor and register for courses. Over 100 courses in the NVC catalog are also available online for students exploring distance learning formats. If you're thinking about applying to one of the best colleges in California, continue reading to learn more about living in the Golden State. With an area of 163,696 square miles comprising the majority of the United States' west coast, California offers a full assortment of climates, geography and attractions. The more temperate Northern California houses beautiful mountain ranges and redwood forests, while Southern California boasts year-round warm weather and beach side living. Out-of-state students will be pleased to have a selection of cities catering to all preferences. However, the beauty and diversity of the state come at a price; California's cost of living is significantly greater than other areas of the country. The latest consumer price index data shows the state about $12 higher than the national average at 246.22. California's tax rates rank 4th in the nation at 11.4% of per capita income. The national average is 9.8%. Below we're going to take a more in-depth look at the northern and southern divisions of the state. Given California's high cost of living, hefty tuition rates and low acceptance rates for out-of-state students, establishing state residency can be a good idea if you have the resources and are certain California is where you want to go to school. This process varies depending on whether or not an individual is of legal age (18). Be sure to consult your school of choice for any additional requirements. A minor's state of residence is dependent on his or her parents. An individual's parents must live in the state of California and the minor must be able to prove that he or she resides in their household. In the case of divorced or separated parents, the minor must be residing with a parent living in the state of California to have resident status; e.g. if one parent lives in California and the other lives in Washington, the minor cannot claim California resident status if living with the Washington parent. The individual must move in with their California parent before their 18th birthday and prove intent to continue living with the parent until the beginning of the school year. You must physically reside in California for at least 366 days before the school requires you to give your state of residence. California for one year prior to your education simply because you want cheaper tuition. If you are under the age of 24, you must be able to prove your financial independence.